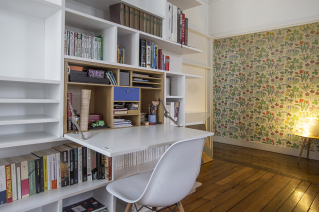 Whether it’s exotic, graphic print, botanic, classic, or vintage, wallpaper is in right now. 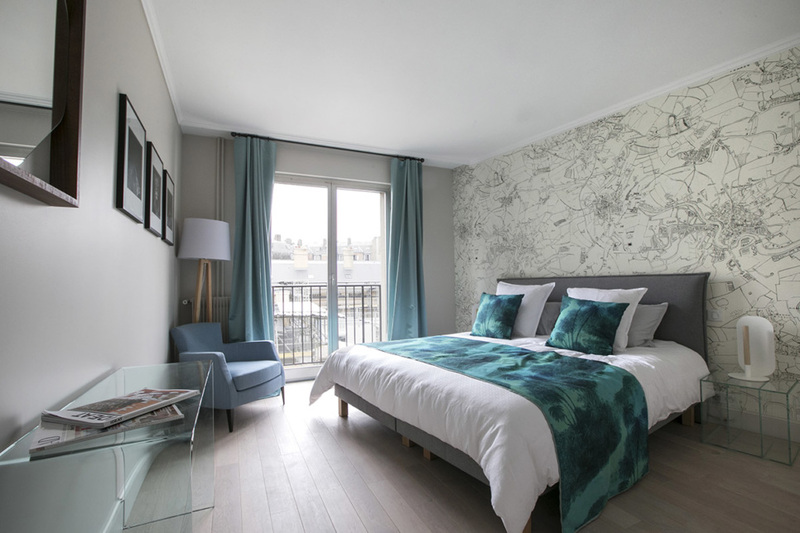 Below are some of our most beautiful furnished and wallpapered apartments in Paris. Let nature invade your home! 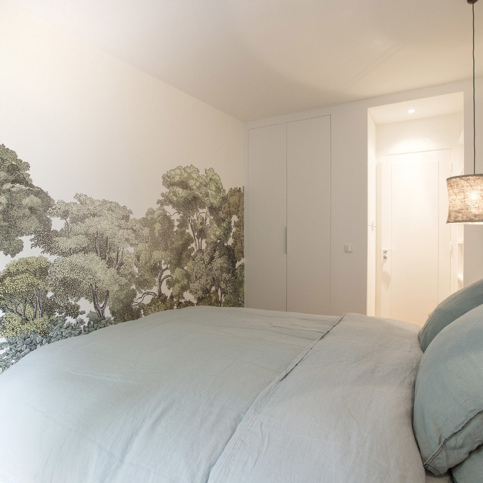 We love this hand-drawn, wooded print because of the peaceful, romantic ambiance it lends to the room. Wallpaper: “Bellewood” by Rebel Walls. Two rooms, 656 sq. ft. 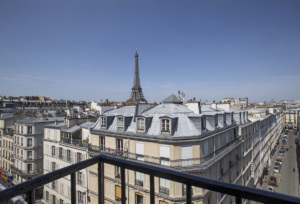 This apartment was rented for €2,600 per month. 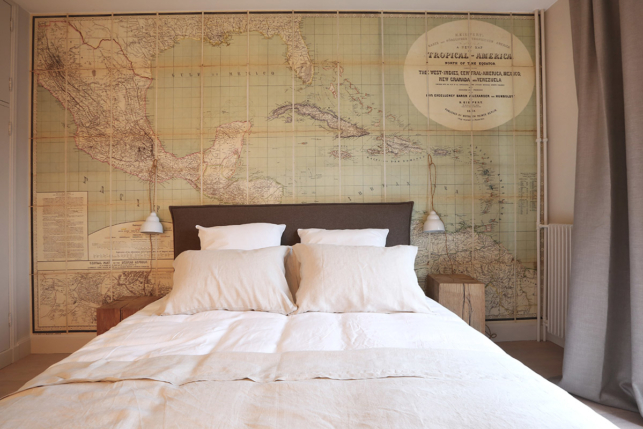 This wallpaper depicting Tropical America in 1858 brings a bit of wanderlust to the bedroom. 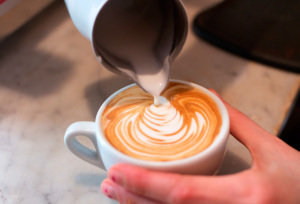 Perfect for globetrotters and other travel lovers. A graphic, hand-drawn fresco inspired by the countryside and certain London neighbourhoods. 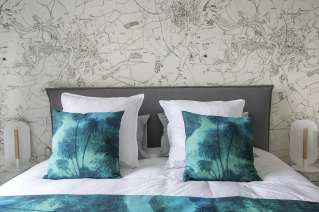 Wallpaper: “Tropical America” and “City Field” by Rebel Walls. Three rooms, 1,399 sq. ft. 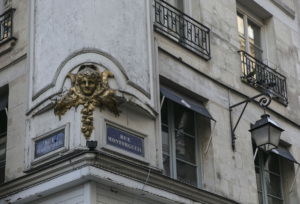 This apartment was rented for €5,500 per month. 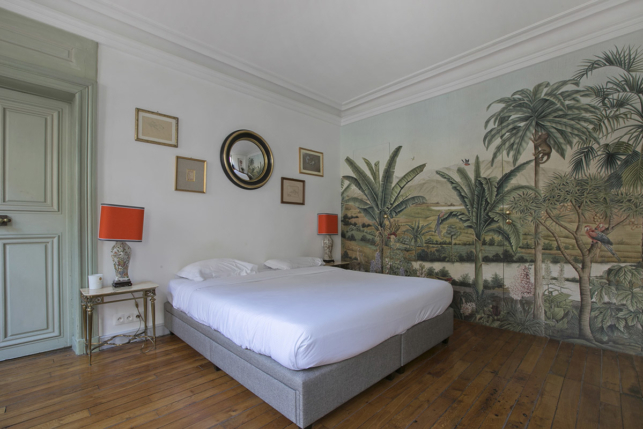 This printed wallpaper with palm trees gives a refreshing exotic-chic look to the place. It calls to mind a tropical escape— perfect for relaxing in the bedroom! Wallpaper: “Mauritius” by Pierre Frey. Two rooms, 387 sq. ft. 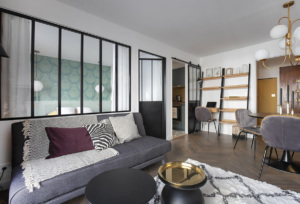 This apartment was rented for €2,000 per month. 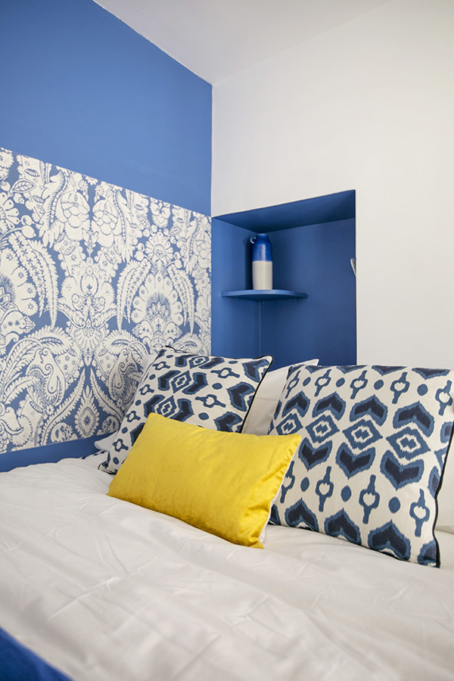 Wallpaper with plant motifs depicting ferns and exotic fruits in electric blue tints liven up the decor. 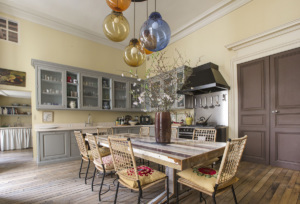 The “Piccadilly” design selected for the kitchen gives an Eastern feel. A reproduction of earthenware tiles in blue and green with arabesque motifs. Piccadilly in several shades of blue on the steps of the staircase leading to the sleeping area. 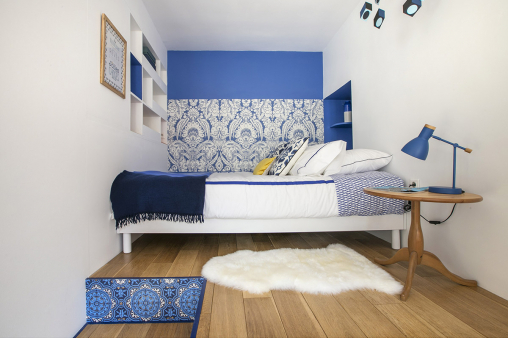 Chatterton design beside the bed. 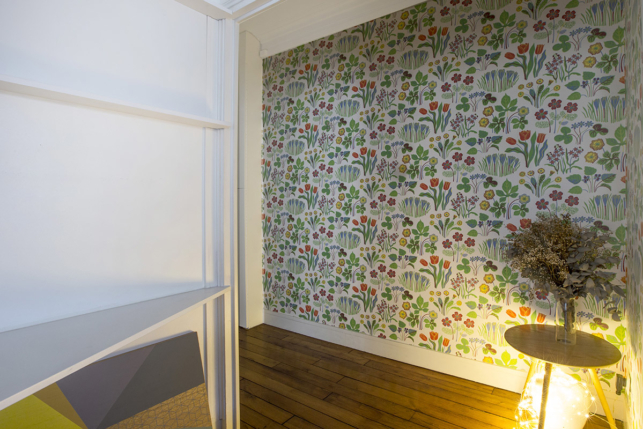 Wallpaper: “Chatterton” and “Piccadilly” from the Albemarle collection by Cole & Son. 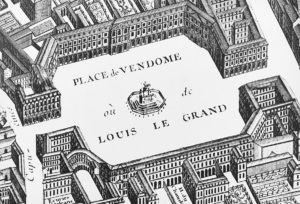 Studio, 312 sq. ft. 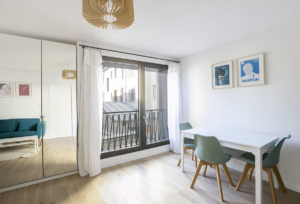 This furnished studio was rented for €1,510 per month. D-dream is a decor invented by the cosmopolitan artist Dimonah. It’s an imaginary landscape inspired by the most well-known naturalists from the end of the Renaissance and the 18th century. 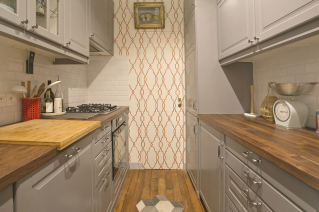 In the kitchen, a Cole & Son wallpaper in the form of a trellis evokes French gardens from the 16th and 17th centuries. 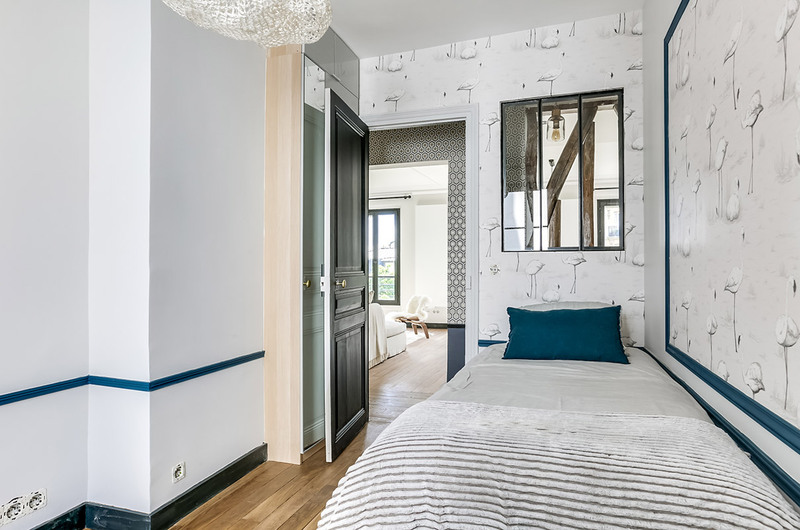 Wallpaper: “D-dream” by Iksel chez Schumacher and “Parterre” from the Folie collection by Cole & Son. Two rooms, 785 sq. ft. 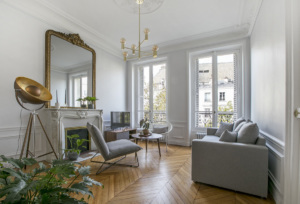 This apartment was rented for €3,350 per month. 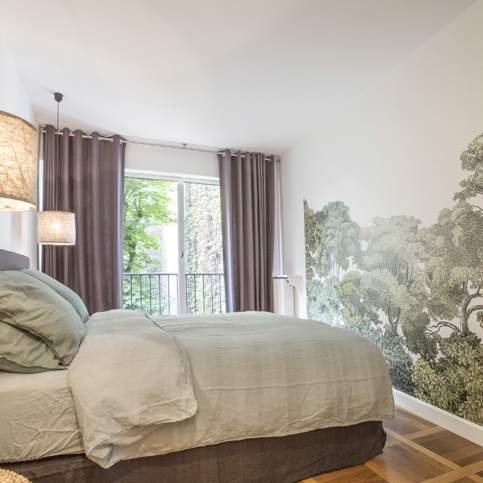 Woven “Green leaf” wallpaper – A guaranteed relaxing escape with this exotic wallpaper from Leroy Merlin. 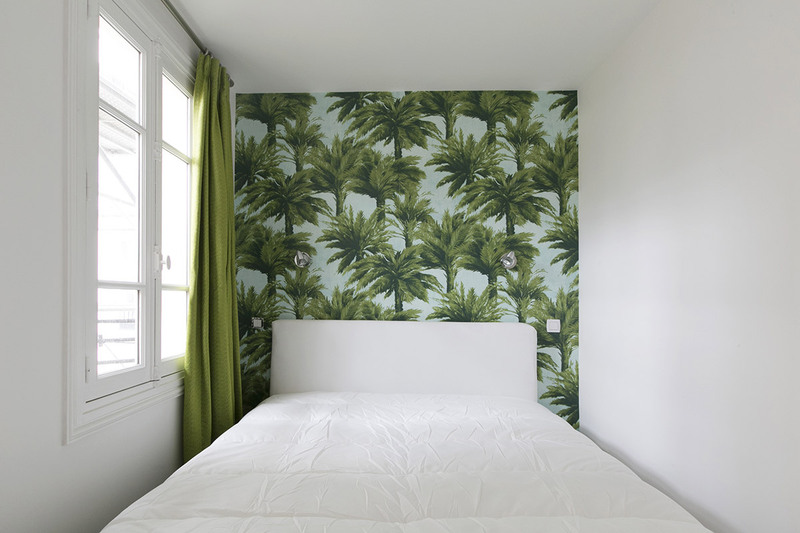 Wallpaper: “Feuillage vert (Green leaves)” by Leroy Merlin. Two rooms, 409 sq. ft. 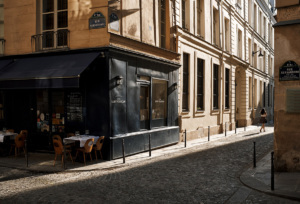 This apartment was rented for €1,500 per month. The famous flamingos by Cole & Son to dress up the walls of this children’s bedroom. 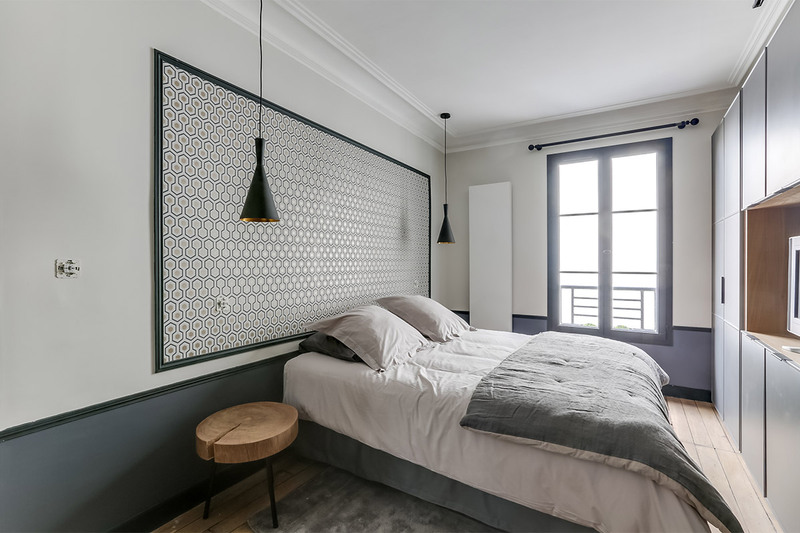 In the master bedroom, Cole & Son refreshed the geometric, hexagonal design by David Hicks with new colours. The same wallpaper is also found in the hallway. 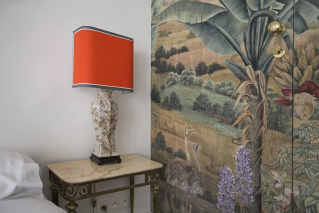 Wallpaper: Flamingos and Hick’s Hexagon by Cole & Son. 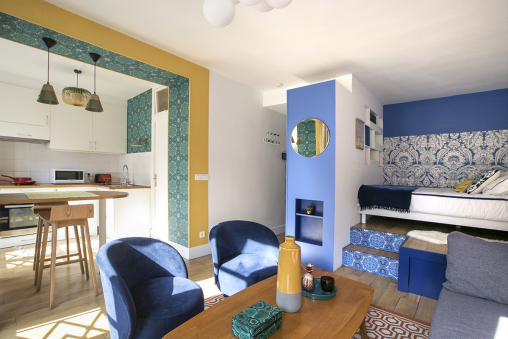 Three rooms, 688 sq. ft. 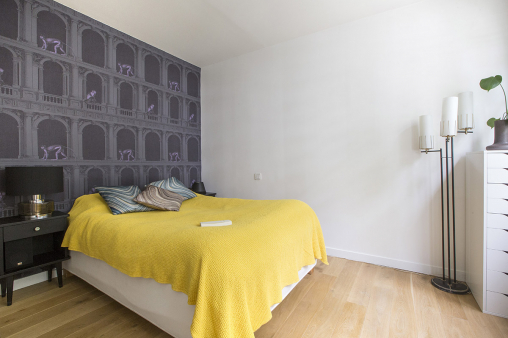 This furnished apartment rents for €3,200 per month. 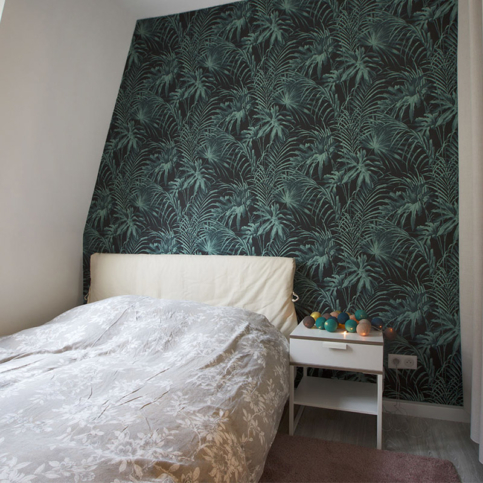 Life-size leaves and plants take centre-stage in this affordable wallpaper. 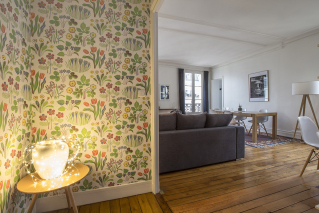 Highlighting flowers such as tulips, crocuses, dandelions, and forget-me-nots, this wallpaper is a veritable ode to springtime! 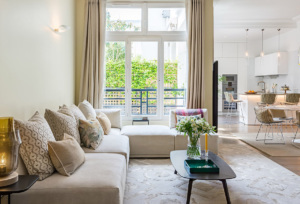 In this flat, springtime reigns! 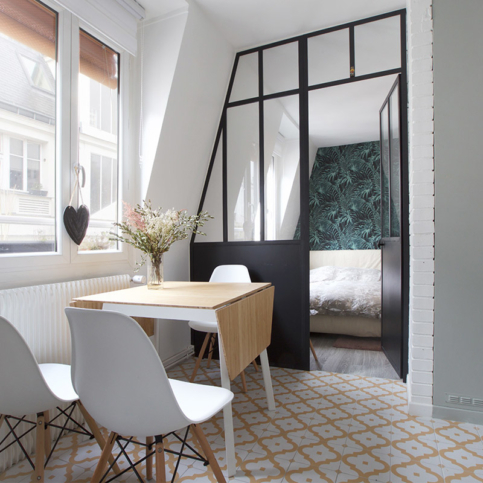 Wallpaper: “Vårklocka” by Svenskt Tenn.
Two rooms, 688 sq. ft. 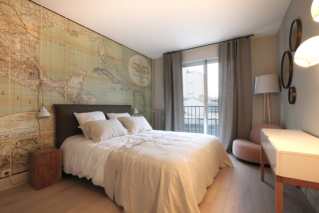 This furnished apartment rents for €2,800 per month. 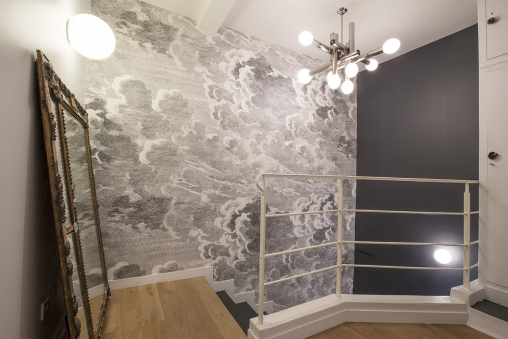 Fornasetti’s wallpapers are known for their surreal look. The ethereal Nuvolette design is hypnotic, mesmerising— the viewer gets the impression that the clouds are in constant movement. In the bedroom is the illusion from the Fornasetti II series, “Procuratie e Scimmie (Magistrates and Monkeys)”, produced by Cole & Son, which shows little monkeys strolling between the columns of an arcade. Wallpaper: “Nuvolette” and “Procuratie e Scimmie (Magistrates and Monkeys)” by Fornasetti. Two rooms, 807 sq. ft. 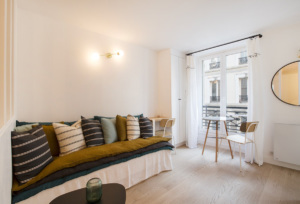 This apartment was rented for €2,400 per month. 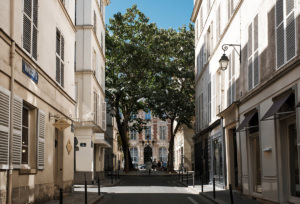 Read the full story of this apartment and let’s see how a fashion designer transforms a former garage into a stunning town house: At home in the Butte Bergeyre in Paris’s 19th arrondissement with Olivia Cognet.